Statistics show that OxyContin is one of the most widely used drugs in the United States. The Center for Disease Control reported that in 2011 approximately 15,000 people died from overdose on prescription painkillers including OxyContin. That is more than heroin and cocaine deaths combined. 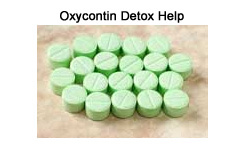 OxyContin or oxycodone is an opiate narcotic pain reliever. Long term, habitual use may create dependency, meaning you will experience withdrawal symptoms once you stop taking it. OxyContin affects the central nervous system, blocking pain and creating a sense of contentment and euphoria. Like heroin, OxyContin can be swallowed, snorted and injected. Taking increasing amounts of OxyContin may create a tolerance in which more amount of the drug will be taken to achieve the same effect as before. OxyContin has been used to treat terminally ill patients and those suffering from chronic pain. Dependency can develop after long term usage. As an individual builds a tolerance to the drug they must take more and more to achieve the same effects. As a user continues to increase their dosage they are at a much greater risk for overdose and death. Possible side effects of OxyContin use are fatigue, headache, dizziness, constipation, nausea and vomiting, drowsiness, cold clammy skin, seizures, loss of consciousness, coma and death. In some people, when OxyContin is taken for pain relief, a condition known as opioid induced hyperalgesia occurs and they begin to experience with more pain. Allergic reaction may cause swelling of the face, throat, tongue, lips, hives and respiratory distress. Combining OxyContin with alcohol and other drugs may have dangerous side effects and can be fatal. OxyContin withdrawal symptoms can be painful, severe and frightening. Withdrawal symptoms from OxyContin may include nausea and vomiting, severe abdominal pain, irregular heartbeat, sweating, hot and cold flashes, agitation and anxiety, insomnia, dilated pupils, diarrhea, coughing, chills and runny nose. Medical detox under the care of a trained medical staff is encouraged. The preferred type of OxyContin Detox Treatment available is IV therapy Medical Detox. This form of detox is considered the safest and most comfortable for the patient. Some detox centers offer programs where you are given oral medications daily. These forms of detox are not effective in alleviating withdrawal symptoms. Once you have successfully detoxed from OxyContin you can begin working on your behaviors and habits associated with drug use so you can build a future that is free from OxyContin use. After your detox from OxyContin is complete, it may be essential for you to enroll in a program to help you to take control and rebuild your life. Freedom Model Retreats can help you achieve long term success without the use of drugs in their cognitive behavior education program. Contrary to what you may believe or have been told addiction is not a disease, but rather a habitual behavior and a choice. At Freedom Model Retreats you will discover that you have the power to make different choices, to develop different habits and behaviors and to have a life that is permanently drug free.